Radio special Offer. Free handwriting analysis book. Congratulations. 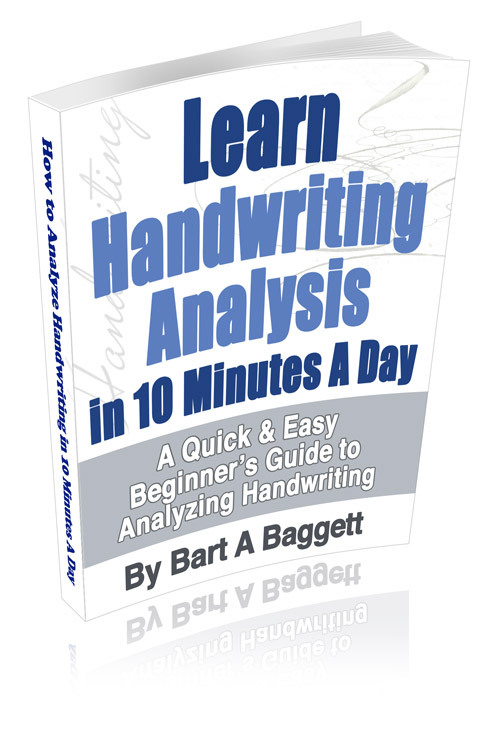 You win a copy of Bart Baggett's new eBook "Handwriting Analysis Made Simple". And as a special bonus, you will get six FREE months of the award winning Handwriting University's Weekly Strokes Newsletter. Each week, you will learn something new about yourself, your friends, and celebrities in the news through the science of handwriting analysis. To get your book and start your newsletter subscription, just SUBMIT your name and email on this page. Your passcodes for downloading the PDF book will be e-mailed to you within minutes. Enjoy the discoveries you will soon be making! Just type in your information on the next page and enjoy your free book. And naturally, you can unsubscribe at anytime from the newsletter. You keep the book as my gift. Thanks for listening to Bart Baggett on your favorite radio station! Click here to download your free book.